[i] See Annex 4 for new numbering of Art. 41. [ii] See Annex 5 for new numbering of EC Treaty articles. [iii] See Annex 5 for new numbering of EC Treaty articles. [iv] See Annex 5 for new numbering of EC Treaty articles. For both the specialist and the generally interested reader it is recommended to start with chapters 1, 2 and 3, which provide a background and general information about this book. Chapter 4 to 11 deal with the individual articles of the ESCB Statute and some related Treaty articles. Topics which are often referred to like the objective and independence of the ECB and the set-up of the ESCB are dealt with in the first part of chapter 4. It is worth recalling that the content of the ESCB Statute has never been amended since its inception in 1992 (as part of the Treaty of Maastricht), except for the addition in 2001 of Art. 10.6-ESCB (procedural article) and the concomitant change in 2003 of Art. 10.2-ESCB (rotation of voting rights). And in 2003 a technical article was added, i.e. Art. 49.3 dealing with the amount of subscribed capital and the cap for the pooled reserves in case the EU is enlarged with new members. Articles 37, 50 and 51 (all related to the start of EMU) were deleted in 2009 as being technically superfluous. [i] As a result articles 38 to 49 (mostly relating to general and transitional provisions) were renumbered into articles 37 to 48, while the last two articles 52 and 53 became articles 49 and 50: see for a clear overview Annex 4. (The renumbering is a pity, because one could have kept Art. 37 followed by the words ‘deleted’ etc., like is done in the Federal Reserve Act.) As this study relies on original documents, we use – for consistency reasons – throughout the study the article numbers as used during the drafting of the Statute and the Treaty of Maastricht. References to the ‘Community’ (a phrase still used during Maastricht) were changed into references the ‘Union’. In this study the numbers of the articles of the EC Treaty correspond to the numbers used in Title II of the Treaty of Maastricht of 1992. In 1997 most EC Treaty articles were renumbered in accordance with Article 12 of the Treaty of Amsterdam and later again due to the Treaty of Lisbon (signed 2007 and effective 2009) – see Annex 5. Articles referred to as Art. 103-EC refer technically to the ‘Treaty establishing the European Community’ (as agreed at Maastricht). Articles referred to as Art. 102-EEC refer to the older ‘Treaty of the European Economic Community’ (one of two so-called Treaties of Rome) – see also chapter 3. At Maastricht the EEC Treaty was amended and the term ‘European Economic Community’ was replaced by the term European Community. Articles referred to as Art. 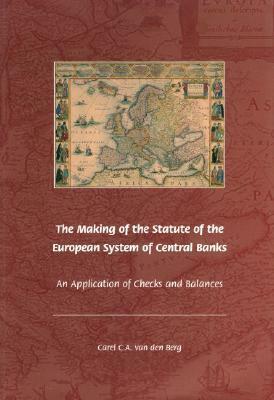 7-ESCB refer to the Protocol on the Statute of the European System of Central Banks and of the European Central Bank, which was annexed to the Treaty of Maastricht. In this digital version the Subject Index contains important search words and includes cross-references to related search words. The Name Index and Article Index lost their function in the digital version and we deleted them. When searching for e.g. Article 24 of the ESCB Statute please also search for Art. 24 or Art.24-ESCB. As mentioned above, the study uses the numbering of the articles as was used during the drafting of the Statute and the Treaty of Maastricht. The study provides references to all articles of the Statute, also articles which are less often referred to. For an overview of all articles see Annex 4. [i] Due to technical nettoyage after the Treaty of Lisbon.